Hi all, today I wanna tell you about the advantage of the database processing. 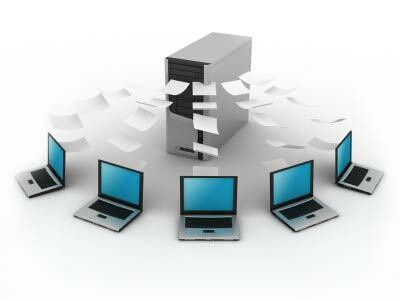 The database approach offers nine clear advantages over alternate data management methods. These advantages are listed and will be discussed below of this paragraph. Getting more information from the same amount of data. The primary goal of a computer system is to turn data into information. In a non-database, file-oriented environment, data often is partitioned into several disjointed systems, with each system having its own collection of files. Any request for information that necessitates accessing data from more than one of these collections can be extremely difficult. Sharing data. The data of various users can be combined and shared among authorized users, allowing all users access to a greater pool of data. Several users can have access to same piece of data. When one users changes a customer address, the new address immediately become available to all users. Balancing conflicting requirements. For the database approach to function adequately within an organization, a person or group should in charge of database itself, especially if the database serves many users. This person or group is often called the database administrator or database administration (DBA). Controlling Redundancy. With database processing, data that formerly was kept separate in a nondatabase, file-oriented system is integrated into a single database, so multiple copies of the same data no longer exist. Facilitating consistency. The potential for the data inconsistent is a direct result of redundancy, and because database approach reduces redundancy, there is much less potential for the occurrence of this sort of inconsistentcy with the database approach. Expanding security. Security is the prevention of access to the database by authorized users. A DBMS has many features that help ensure the enforcement of security measures. For example, a DBA can assign password to authorized user, and only those users who enter an acceptable password can gain access to the data in the database. Increasing productivity. A DBMS frees the programmers who are writing database access programs from having to engage in mundane data manipulation activities, such as adding new data and deleting existing data, thus making the programmers more productive. A good DBMS has many features that allow users to again access to data in a database without having to do any programming at all. These features increase the productivity both of programers, who may not need to write complex programs in order to perform certain task, and of nonprogrammers, who may be able to get the results they seek from the data in a database without waiting for a program to be written for them. Providing data independence. The structure of a database often needs to be changed. For example, changing user requirements might necessitate the addition of an entity, an attribute, or a relationship, or a change might be required to improve performance. A good DBMS provides data independence, which is a property that lets you change the structure of a database without requiring you to change the programs that access the database. Without data independence, a lot of effort can be expended in changing programs to match the new database structure.